Be it Adventure, grand touring or off road, no matter the riding conditions, the Arai Tour X4 is ready for anything. The Tour X4 has a complete new outer shell, Redesigned to be tougher, stronger and stiffer than ever. 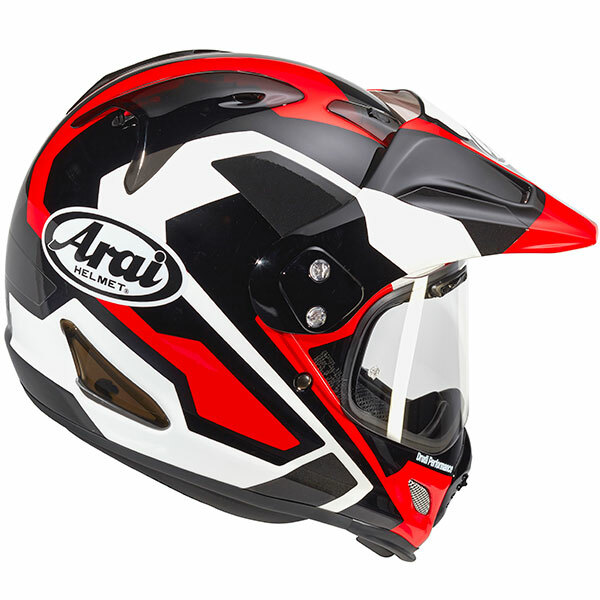 As the Arai Tour X4 may be used under extreme conditions, the ventilation system has been redeveloped for maximum efficiency. The new Facial Contour System offers more support and comfort to the lower jaw and creates a tighter fit. For an even better personal fit, there is a removable 5 mm surface foam layer on the cheek pads and temple pad from the headliner. DIFFUSER - Diffusers and ventilation ducts are integrated into the outer shell for a smooth helmet surface. 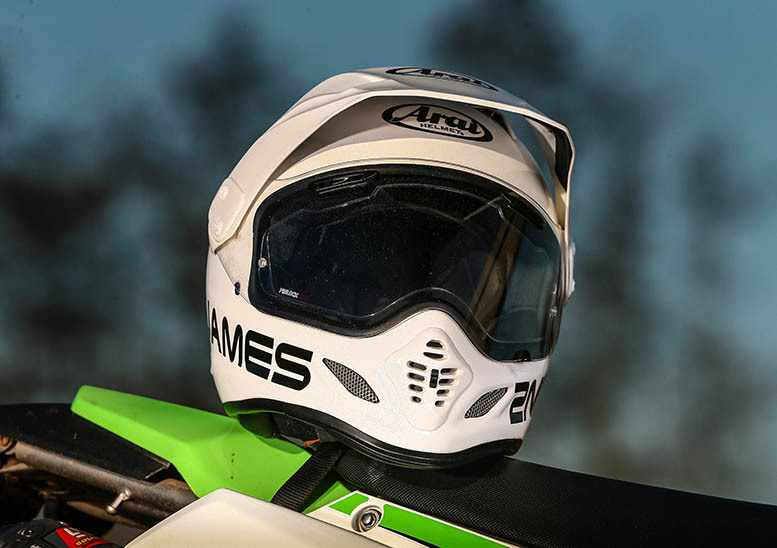 FSC - Combining new cheek pad design redesigned neck roll, and extended pull-down chin spoiler helps reduce wind noise and increase the exhaust of hot air. REMOVABLE INTERIOR - Plush removable, washable interior with Dry-Cool liner material utilises micro water cells to improve moisture and heat transfer keeps the head dryer and cooler. 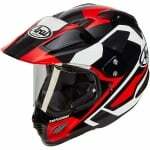 CHINSTRAP - Covers made of Dry-Cool fabric for more comfort and better fit.